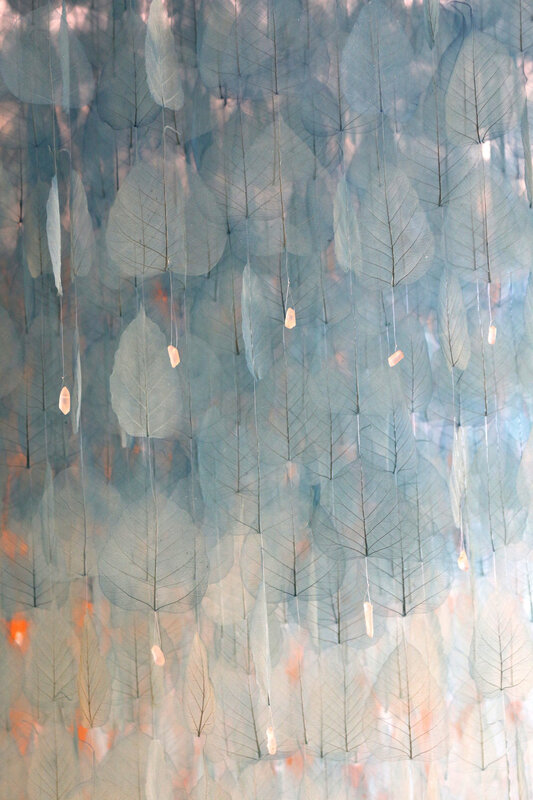 Ascension Leaves is created from hundreds of leaves from trees collected during the past year. Both fragile and strong, appearing delicate and lace-like, each leaf is unique and enduring. This sculpture expresses the connection of leaves to the human condition: we are all individuals, fragile in our health and physicality, but we are resilient and interconnected as a community. Miya Ando gives an inside look at her installation.